Blair Academy staff members built and donated brand new bikes to three families served by Project Self-Sufficiency. 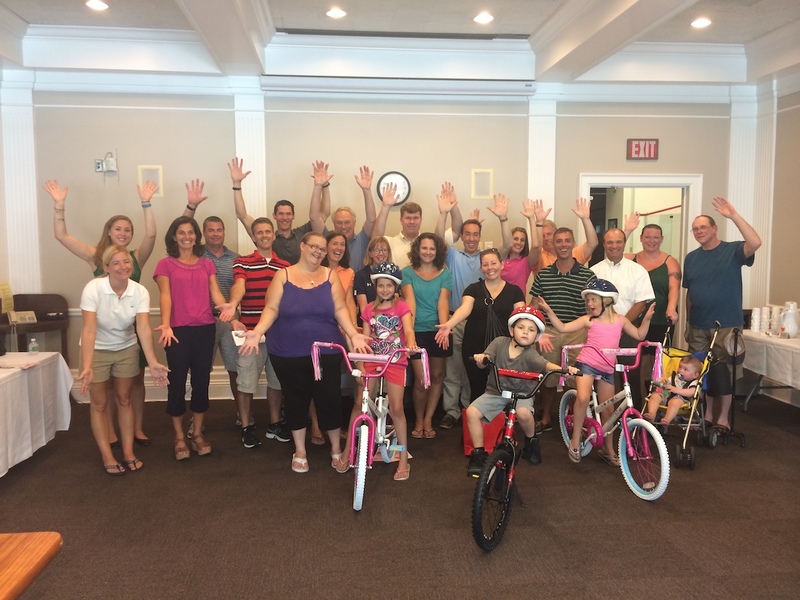 Administrators from Blair Academy recently took a break during their annual summer retreat to build brand new bicycles for three children served by Project Self-Sufficiency. The effort was the second time in recent months that the school has partnered with the local non-profit agency to help area low-income families. More than 100 students and faculty spent the day at Project Self-Sufficiency in May to help create community gardens and other projects. Administrators note that having seen firsthand the challenges faced by Project Self-Sufficiency participants and their families, the non-profit was the obvious choice for the bike donation. The three children selected by Project Self-Sufficiency to receive the bikes practiced riding up and down the hallways at Blair Academy, and proudly posed for pictures with their benefactors before carting home their new equipment. New helmets were also provided for the children. “I hope that Blair and Project Self-Sufficiency will continue to find ways to collaborate and leverage the desire of our students and faculty to engage in public service work that benefits local families in our area,” Mr. Fortunato said. To make a donation to Project Self-Sufficiency, or to find out more about the programs and services available at the agency, call 973-940-3500, or visitwww.projectselfsufficiency.org.